A contemporary pair door with Archi­tec­tural V-Groove feature and door stiles.­ As well as its V-Grooved effect door design, this pair door has one large central glass pane, with raised beadings, on each door. 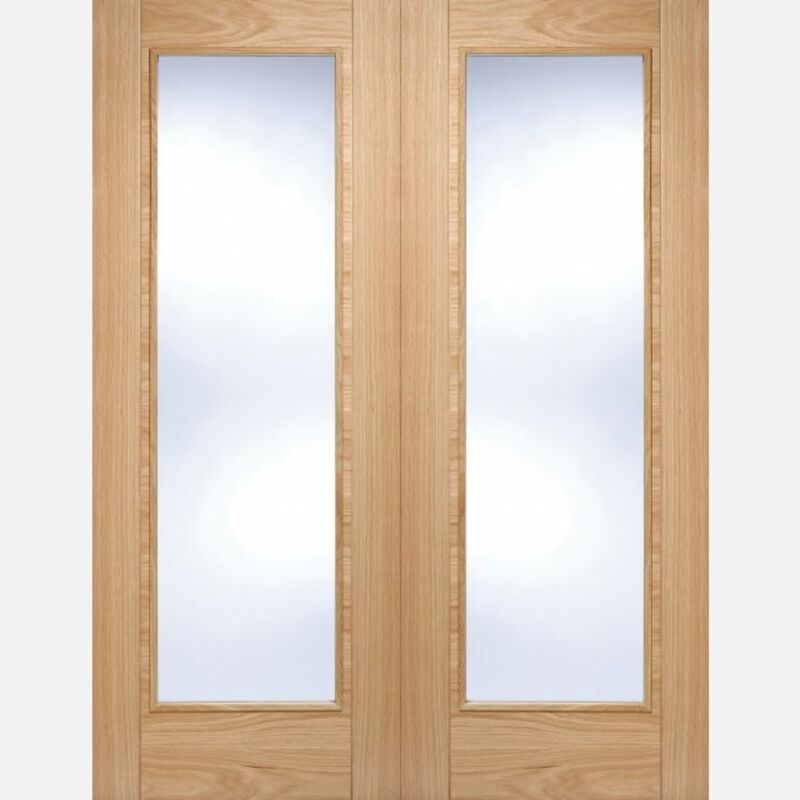 Oak Vancouver Pattern 10 Glazed Pair Doors are manufactured from engineered door components which can include MDF, particle-board and laminated timber. A contemporary pair door with Archi­tec­tural V-Groove feature and door stiles.­ As well as its V-Grooved effect door design, this door has one large full length central glass pane, with raised beadings, on each door. Also available in Walnut & Light Grey. LPD Glazed Oak Vancouver Pattern 10 Pair Door Codes - OPRSVANGL36 - OPRSVANGL42 - OPRSVANGL46 - OPRISVANGL48 - OPRSVANGL54 - OPRSVANGL60 - must be treated to manufacturer's instructions. - We cannot exchange Glazed Oak Vancouver Pattern 10 Pair Doors after order - LPD Vancouver Pattern 10 Glazed Pre-Finished Oak Pair Doors are supplied as a Special Order. E. & O.E. see T&C - We do try to keep prices and specifi­­cati­­ons of LPD Vancouver Pattern 10 Glazed Pre-Finished Oak Pair Doors correct, but mistakes can be made!